How, you might be wondering, can a timid and meek baby be so strong? Yesterday we saw that Jesus is our wonderful counsellor, not only that, He's also strong and mighty. Today we're looking at Emma's post on Jesus as 'Almighty God', and how this might and power is accessible for all. In Isaiah 9, Israel is in turmoil. Men are at war, each vying to be king. And through Isaiah, God promises a great saviour for his people – the true King, who will free his people and will reign over his kingdom with justice and righteousness, for ever and ever! And this king will be… a baby? So what does it mean to be mighty? The way we usually understand this word is to associate it with power and strength. However, (I’m pretty sure) Jesus wasn’t an unusually beefy guy, so when we’re talking about Jesus being mighty, we’re not talking about his physical strength. The Hebrew word ‘El’ is the name for God and actually carries the meaning ‘strength, might, or power’. This means that every time we call God by his name, it is a given that he is strong and powerful. But does that mean then that by calling Jesus ‘Mighty God’, we’re saying he is the ‘mightiest of mighties’?? When we say that something is mighty, we tend to mean that is has power, strength or is very large in size or importance. Jesus has more strength and more power than anyone or anything we could imagine. Jesus is the most important person in history. He is the ultimate superhero, the warrior of warriors and the champion of champions. We’ve seen that as a ‘wonderful counsellor’ and now as a ‘mighty God’ Jesus has the fundamental virtues of a ruler, wisdom and strength, but he has them in superhuman quantities. He turned water into wine, He made the blind see, He raised people from the dead! But who could forget the ultimate act of strength and power? Who else could possibly be strong enough to take the weight of the sin of mankind and obliterate it? 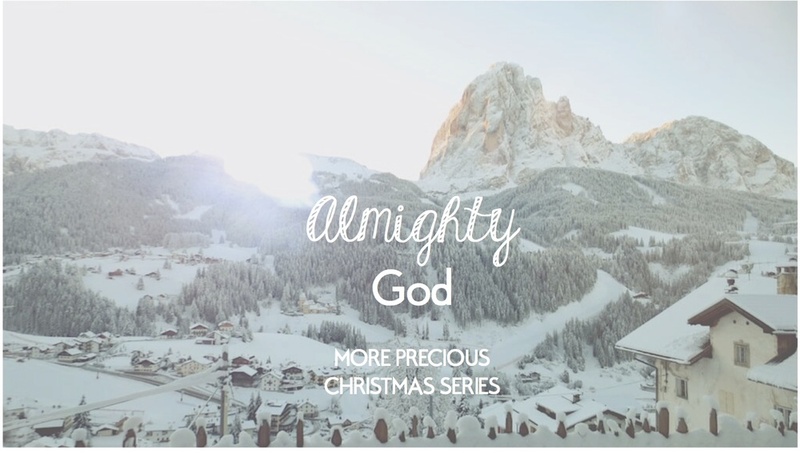 Only the mightiest of mighties – God in human form, sent to save mankind. This Christmas, when the cherub-cheeked soloist is singing about ‘the little Lord Jesus asleep on the hay’, remember the strength and authority that weak baby carried. It seemed so unlikely that the Saviour of the world, the one who was going to rule over all would be a tiny baby, and yet it was. Remember that through Christ, you can share in this strength, and that through him, all things are possible.